A place like no other – Bermuda has it all. From colonial architecture with a Caribbean climate, to a fascinating past riddled with mystery. Don't let fear of the infamous 'Bermuda Triangle' put you off visiting this unique island resort. Bermuda is well worth a visit. Bermuda is a British Overseas Territory consisting of a small cluster of volcanoes off the coast of mainland USA, in line with North Carolina It's position makes it a perfect twin center holiday combining North America with a tropical island getaway. Originally discovered by Spanish captain Bermudez the island has seen throughout its history a fair share of shipwrecked visitors including a large number of pigs that inhabited the island in its early years. These days Bermuda offers the tourist a lot more than some fresh water and some livestock, being only 21 square miles you may think it hard to find areas that are not overdeveloped however there are many national parks and nature reserves completely untouched by man and concrete, home to tropical birds and the islands resident tree frog these areas of outstanding natural beauty are well worth a visit. 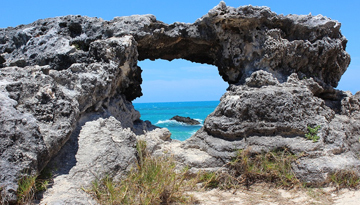 The beaches of Bermuda are total paradise with a good range from busy touristy hotspots like Horseshoe Bay, in Southampton Parish to the more off the beaten track beaches such as John Smiths Bay, much less crowded and frequented more so by the locals – you know something is good when the locals swarm there! For history and culture buffs Bermuda has a number of Forts to explore, a little-known fact is that Bermuda was the base for the British navy for decades running up to and throughout WW2 and many of these forts have now been restored and sit in very picturesque locations along Bermuda's coast line. The island is also home to a spectrum of shipwrecks spanning over five centuries from Spanish galleons right up to modern day frigates, these underwater museums are fascinating and there are many dive centers that offer tours of the wrecks and the reefs dotted around the island. There are a number of top class golf courses on Bermuda and although most are members only or only available to play if you are staying in an associated hotel, there are three great courses owned and maintained by the Bermuda government. So if you are dreaming of a summer getaway with a British feel, teeming with natural beauty, history and culture look no further than Bermuda and take advantage of the cheap flights on offer throughout January. 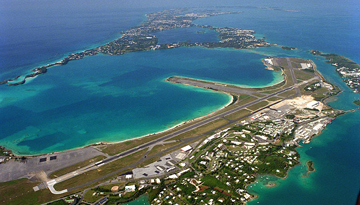 Air France offers to Bermuda flights from London cities just at low cost fares £575* includes return. Book a Deluxe Room in Newstead Belmont hills hotel just for £204 with 4 star accommodation. 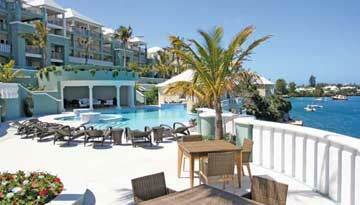 Flight from Exeter - Bermuda & Stay for 7 nights with 3 star accommodation. Room Only.